Storey sent me a review copy of this book but I mean every word of this review, I seriously cannot stop raving about this book! I usually love getting eBooks but every once in awhile there’s a gorgeous book that you just have to hold and have a physical copy of. All Points Patchwork*Edit by Diane Gilleland is that book for me. Diane is directly responsible for my English paper piecing addiction and I couldn’t thank her enough for that. She has been there so many times to answer questions and help me trouble shoot problems. 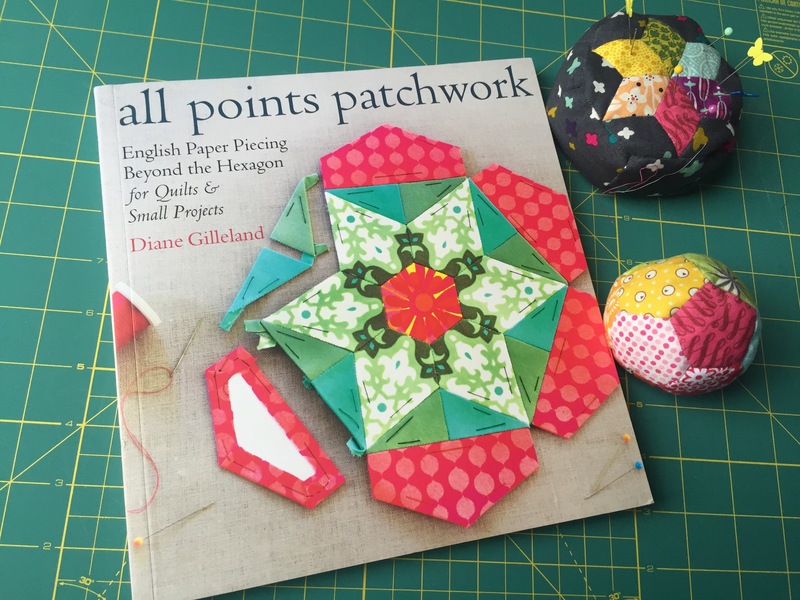 And now she’s gone and put together this amazing book that you can reach for to answer any question you could possibly have about English paper piecing. I have always loved portable crafts. I had aspirations of making a quilt but the idea of sitting at a machine working on it just didn’t appeal to me. That’s why I love EPPing, sure it’s a much, much slower way to do things, but you can work on it anywhere. I keep a pouch in my bag all the time with hexagons that need to be basted or joined. If I’m in the passenger seat or end up waiting somewhere, I can pull the project out and work on it. 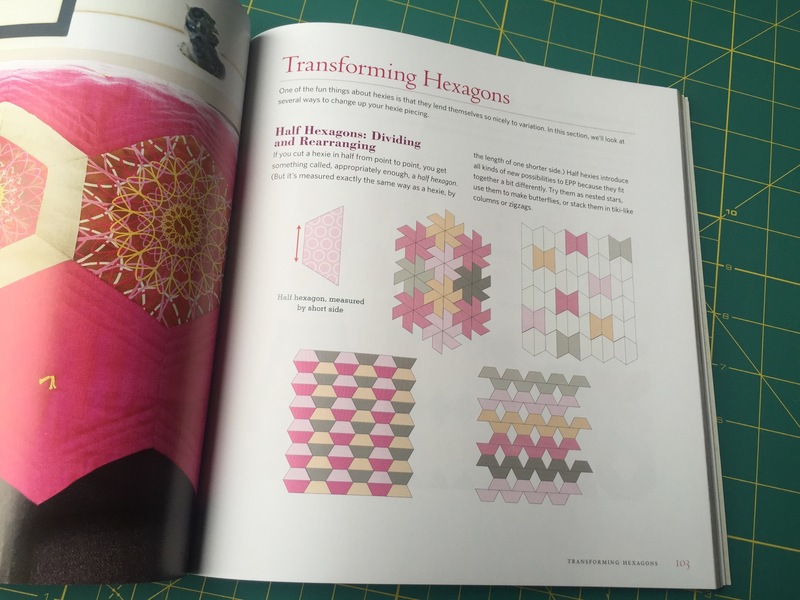 The bulk of my EPP experience is with hexagons, but All Points Patchwork opens up doors to shapes I had never considered. The first thing you should know about this book is that it is not your typical project craft book. 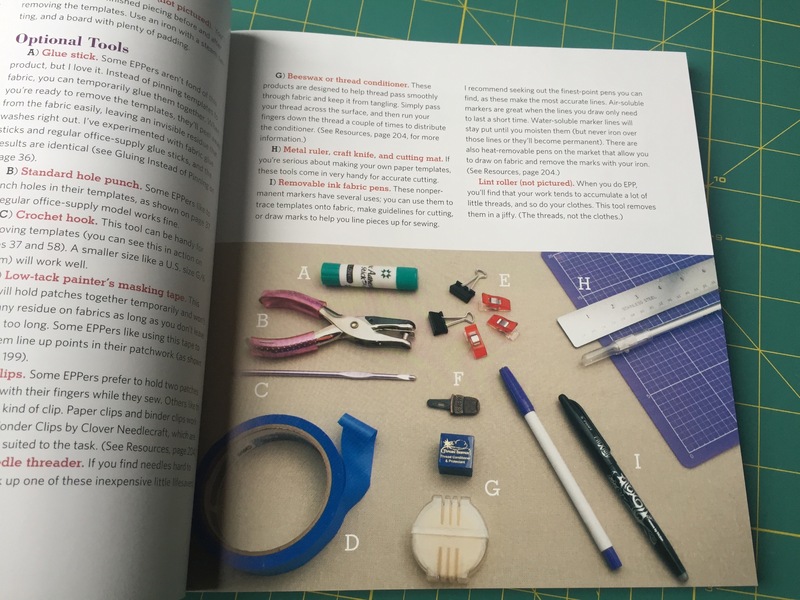 The book contains photos of a bunch of absolutely gorgeous projects as inspiration, but it doesn’t include detailed instructions on to to create them. Instead, Diane is giving you the tools to learn everything you could possibly need to know to make your own projects. All Points Patchwork is equally valuable for a complete beginner or a more experienced EPPer. I consider myself quite knowledgable on the subject and still found so much information that I didn’t know or never would have thought about. 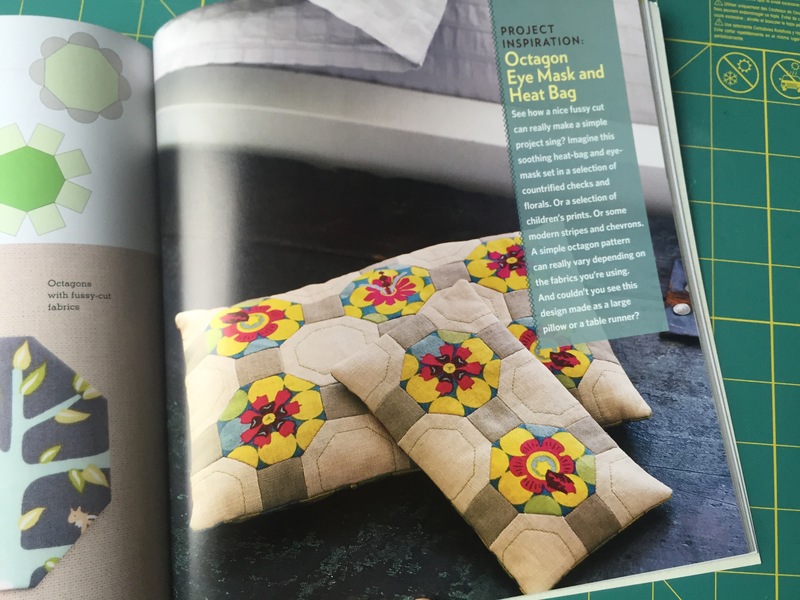 Diane covers everything – what supplies to use, how to draft your own patterns, how to baste different shapes, different layouts for the shapes, and so, so much more. If you have ever been interested in English paper piecing but have been overwhelmed, I totally feel your pain. It’s hard to explain to someone without visuals, anytime I’ve tried I have been met with a lot of confused questions. All Points Patchwork demystifies EPPing and gives you all the tools you need to get started. Or if you’re already familiar, gives you the confidence to branch out and try new shapes or projects. Thanks to this book I’ve branched out and experimented with diamonds, rectangles, pentagons, and I made my first 3D projects. English paper piecing is so versatile and I love paging through All Points Patchwork for ideas. 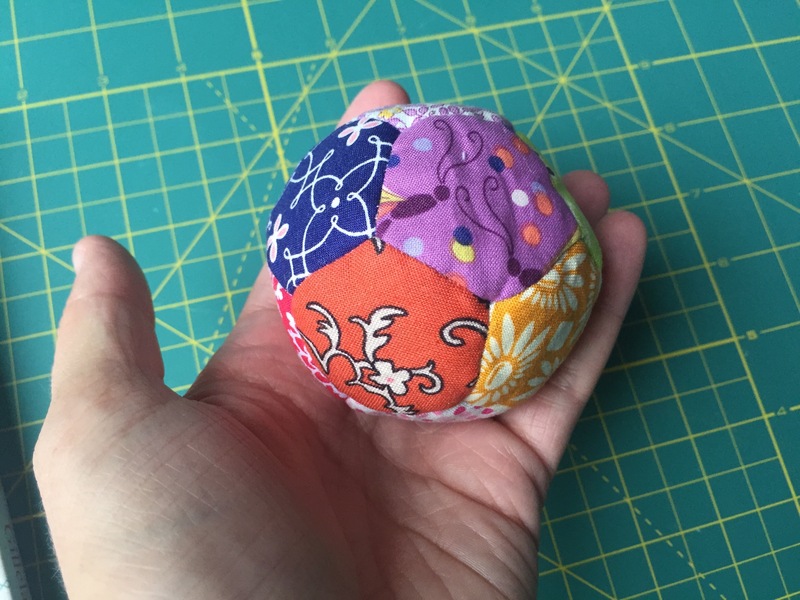 When Mollie from Wild Olive shared her review of the book she showed a pentagon ball pincushion she made and I immediately wanted my own. I absolutely love how it turned out and I want to make a ton of them! You can see the project I made for the All Points Patchwork blog hop here! 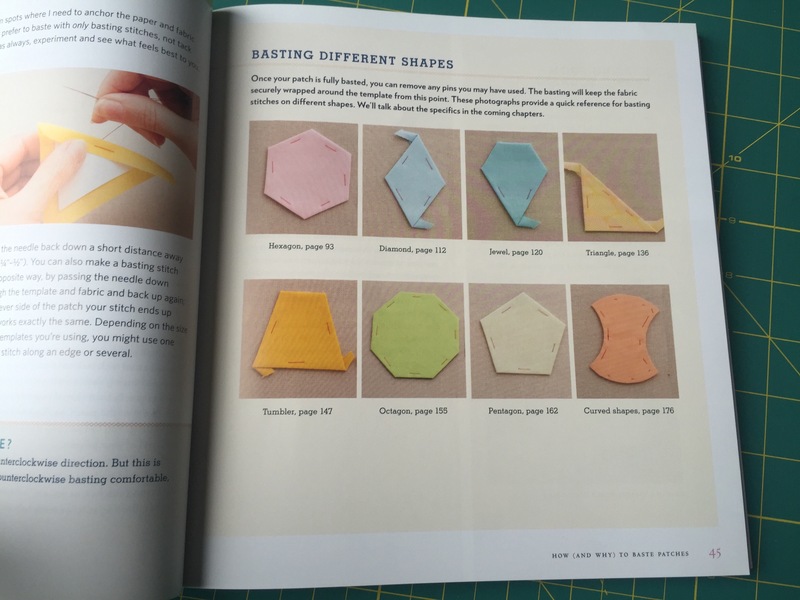 All Points Patchwork: English Paper Piecing beyond the Hexagon for Quilts & Small Projects* is published by Storey. Please Note: This post contains affiliate links that are indicated by an asterisk*. Oh dear I think my credit card was in trouble as soon as I saw the cover – it looks amazing – I’m off to add it to the wish list!